Clocks aren’t the only things falling back at this time of year. The start to foliage season is also on the move, with the season starting later and later in the U.S. since 1982. Other threats from climate change could also cost states that rely on the billions from leaf peepers in lost tourism revenues and have ecological impacts that extend well beyond the season. The U.S. Forest Service estimates that fiery foliage in the Berkshires and Green and White Mountains generates $8 billion in tourism revenue annually for New England alone. Foliage season is so important to Vermont that the state employs a leaf forecaster. States in other parts of the country also depend on foliage season to bring in tourism dollars, though specific numbers are harder to come by. 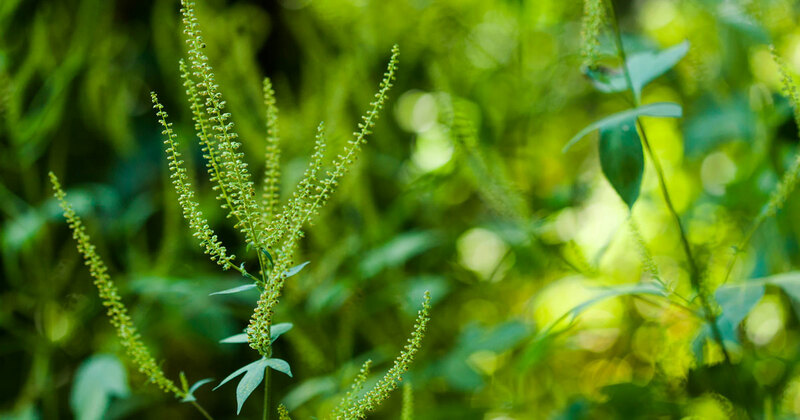 Warmer weather is contributing to a later ending to the growing season in the U.S. according to research from Seoul National University. The end of the season is marked by the point when satellites see the overall greenness of foliage start to decline, was over two weeks later in 2008 compared to 1982. 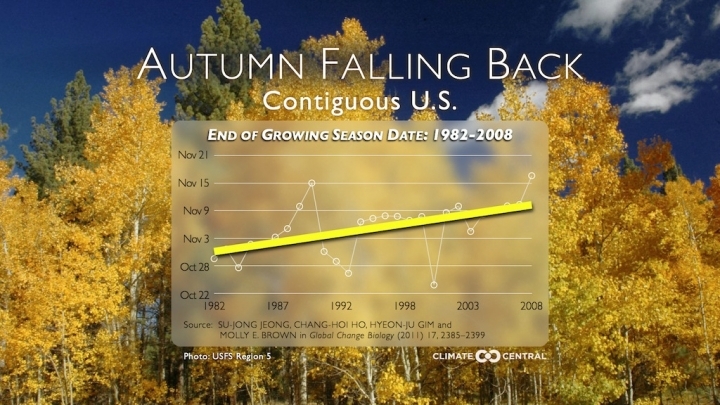 The end of the growing season in the continental U.S. has become roughly two weeks later from 1982-2008. A later onset to fall isn’t the only issue affecting foliage season, though. The financial benefits of leaf tourism are reaped in the fall, but they’re sown in spring and mature through summer. The climate during all three seasons affects how vibrant foliage actually is. A warm, wet spring followed by a Goldilocks summer followed by a fall with warm days and cool nights create the most ideal conditions for eye-catching colors. 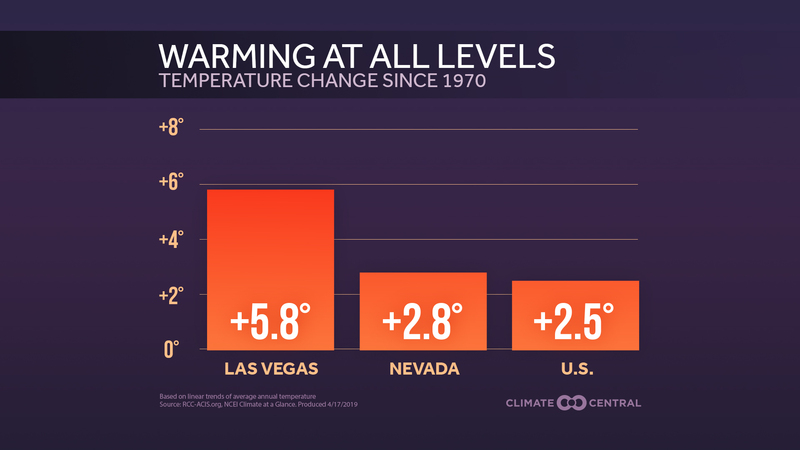 Climate change is causing warming across all seasons, and while that might be a boon in spring, warmer and more extreme heat during the summer could negate those benefits. The stress from warm weather can knock leaves off the trees before they’ve even had a chance to change. Nighttime temperatures are also generally rising faster than daytime highs, which means cool fall nights are likely to become shorter in supply. All these shifts could work to reduce the brilliance of fall foliage over time, but they also create openings for other threats to trees and their leafy assets. Enquist cited gypsy moths, which are an invasive species. Though they were introduced in New England in the 1860s, gypsy moths have spread far and wide across the U.S. in the past 40 years. One gypsy moth can lay up to 1,000 eggs, which in turn become very hungry caterpillars that are partial to oak, birch, aspens, and other deciduous trees. Some research suggests a warming world will favor the growth of gypsy moth populations from Virginia to Utah. 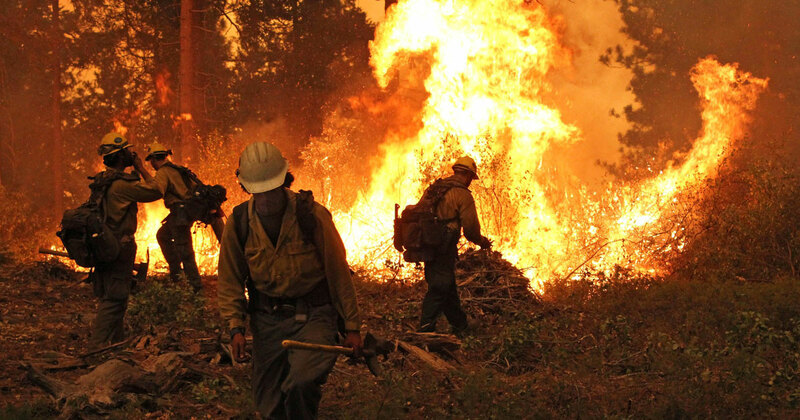 Enquist cautioned that more research needs to be done on many levels to understand not just how foliage is likely to change but fall in general.